Has Spring arrived? 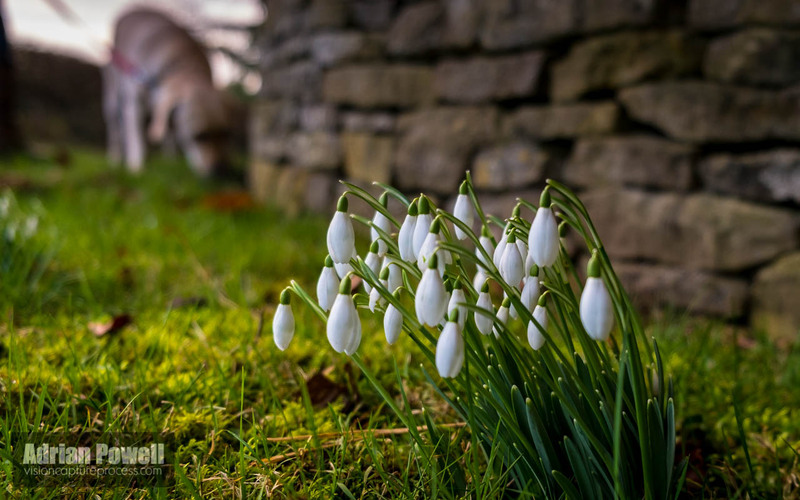 Hmmm…not yet (a frosty -4°C here this morning), but there are signs that it is coming – found these snowdrops near Bourton-on-the-Water while walking Sparky on Saturday. Took this with the largest aperture I could to throw the background out of focus (f3.2 rather than f2.8 as I had to zoom in slightly else I was too close to be able to focus on the flowers – with this lens, the more you zoom in, the smaller the maximum aperture available) – anyway, it all helps to make the flowers stand out against the background.